Patrick Wharram’s Lightweight Emergency Shelter is a mini building that’s easy to transport and can be erected immediately. 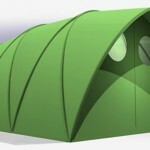 It won first place in nonprofit Design 21‘s ShelterMe competition in 2007. 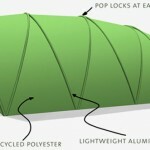 “For emergency shelter in the first few days after a disaster, the tent is a proven solution,” says Kate Stohr, co-founder of Architecture for Humanity. 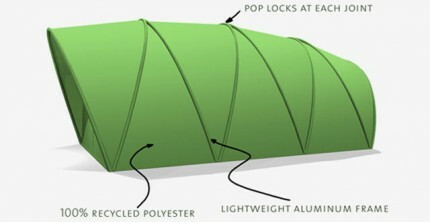 Wharram’s design is shipped in one piece — an aluminum frame sewn into a piece of recycled polyester fabric allows for mass-production as well as for an easy pop-up setup, reducing the possibility of misplacing pieces.